In just less than a week, 41 million seniors will have the opportunity to make a choice that might save them hundreds, perhaps thousands, of dollars in health care costs. Too many of them, however, will fail to take advantage, leaving billions on the table, all to the benefit of insurance and pharmaceutical companies. For 11 years, Medicare’s Part D prescription drug benefit has offered seniors subsidies to cover the cost of prescription drugs and prescription drug insurance premiums. But the enrollment period, beginning on Oct. 15 this year and lasting through Dec. 7, remains critical to the budgets of both consumers and government. Insurance plans compete for enrollees through different formularies, deductibles, copays and co-insurance, as well as premiums, all of which can change annually, and frequently do. While Medicare provides an online “Find-A-Plan” feature – enabling consumers to shop around and locate plans that work with their local pharmacies and result in the lowest out-of-pocket costs based on the drugs they take – only about 1 in 10 enrollees switches plans each year, even if the plan has changed its components. That results in average overspending of $373 per person per year for those who choose not to switch, and $1.2 billion in excess subsidies by the government. So why don’t most people at least investigate switching? 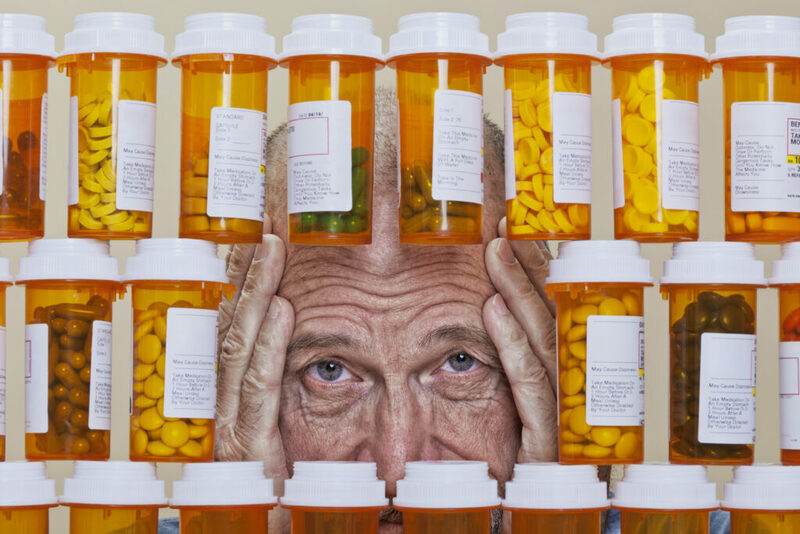 In a white paper published by the National Bureau of Economic Research, we point out that the burdens of switching – substituting drugs, understanding the system, sometimes changing pharmacies – are high. And a large number of beneficiaries don’t even get that far in considering a switch. They simply aren’t paying attention, or don’t think they need to bother. Some changes in plans can sound the alarm enough to get beneficiaries involved, particularly increases in premiums. But the longer an individual stays with a plan, the more likely an insurer can count on inertia to keep her enrolled, even with a premium hike. The designers of Part D had hoped that beneficiaries would eventually learn how to navigate the system and make it more efficient. There is, however, little evidence that consumers’ choices improve over time. Alert enrollees. Use a prominent advisory in mailings to alert enrollees to potentially considerable savings they could make by paying attention to the costs of their current plan versus alternatives, and that “Find-A-Plan” can give them a balanced evaluation of their choices. Create personal statements. Use the claims history for the first six months of each year to create individualized statements of what enrollees are paying in their current plans and what they could expect to pay in alternatives. Require enrollees to choose a plan. If the above steps don’t boost beneficiary involvement, require enrollees to actively choose a plan rather than default to their current plan. If they do not make a choice, default them to the plan that is lowest cost, based on past claims data. Without such action, fast-rising drug prices will drive costs steadily higher in Part D, a program that elderly consumers can ill afford to see undermined.